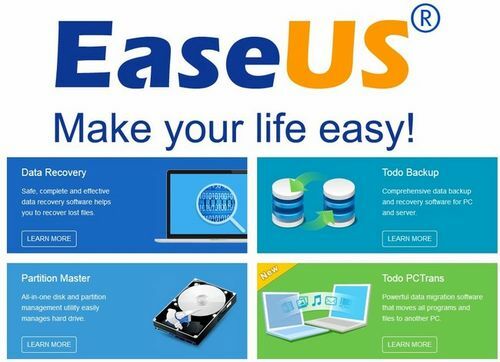 What makes EaseUS unique is that we take the goal to make your life easy as our eternal mission so that we’ve produced multiple excellent softwares to solve data problems on PC, Mac, iOS & Android devices. Optimize server and workstation disk drive usage, while keeping data safe. Disk Management Software for Laptop, PC and Workstation with one scalable solution of disk management, partition recovery and clone. Organize hard disk volume configuration for optimal performance, while keeping data safe. Optional: Make sure that you get the newest version for lifetime without additional upgrade charges. A small price for a lifetime's peace of mind! Professional server partition software safely resize partitions. Supported OS: Windows 10, 8.1, 8, 7, vista, XP and Windows Home Server and Windows Server 2012, 2008, 2003. Partition management tool offers unlimited usage within company. Disk Management Solution for IT Service Provider.